Veronique Li | Hyman, Phelps & McNamara, P.C. Véronique Li provides counsel to medical device and in vitro diagnostic (IVD) manufacturers. 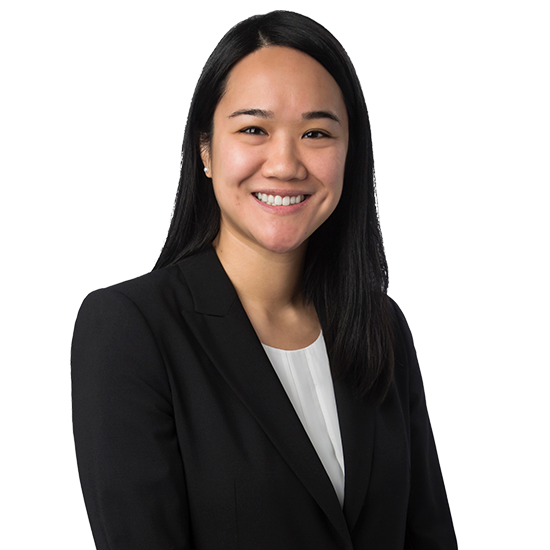 Ms. Li assists clients with a wide range of pre and postmarket regulatory topics including developing regulatory strategy, preparing regulatory submissions, drafting regulatory policies and procedures, reviewing advertising and promotional materials, and addressing enforcement matters. In the premarket area, Ms. Li prepares IDEs, 510(k)s, de novos, and PMAs. She also prepares pre-submissions, and assists clients in preparing for and represents clients at pre-submission meetings with FDA. In the postmarket area, she advises clients on complaint handling, MDRs, field actions, and QSR compliance. Ms. Li also helps clients with contract matters and regulatory due diligence. Ms. Li began her career in medical device sales before earning an MBA. After graduation, she accepted a full time offer with a consulting firm, where her clients included hospitals and academic medical centers. She most recently spent over five years at the FDA in both CDRH and CBER where she had review, policy, and analysis responsibilities. Prepares and reviews product submissions, including, 510(k)s, IDEs, and Pre-Submissions. Counsels clients in responding to FDA deficiency letters and requests for additional information. Evaluates and develops regulatory and marketing strategies. Assists with determining regulatory requirements for product modifications, including design, supplier, and manufacturing changes. Advises on MDRs and complaint handling, recalls, corrections, and removals. Advises on enforcement actions, including, 483s and warning letters. Prepares regulatory procedures (e.g., complaint handling, MDR, recalls). Reviews promotional material and labeling. Performs regulatory due diligence for mergers and acquisitions. Assists companies with Quality System Regulation (QSR) matters. Provides advice on requirements for RUO assays and instruments. Prepares and advises on corporate policies and compliance matters. Drafts and reviews contracts related to various regulated matters (e.g., distributor agreements, supplier agreements).